The Pacific NW is recognized world wide as a bike friendly environment. 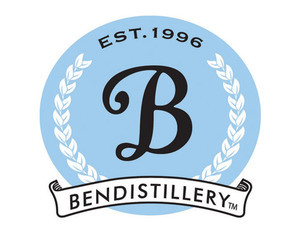 We are also well known for our amazing craft distilleries and cocktail lounges. We ask, "Why not combine them both?! Build Your Own Bike Bar! Show off your original creation of your bar on wheels! Winner will receive $1000! 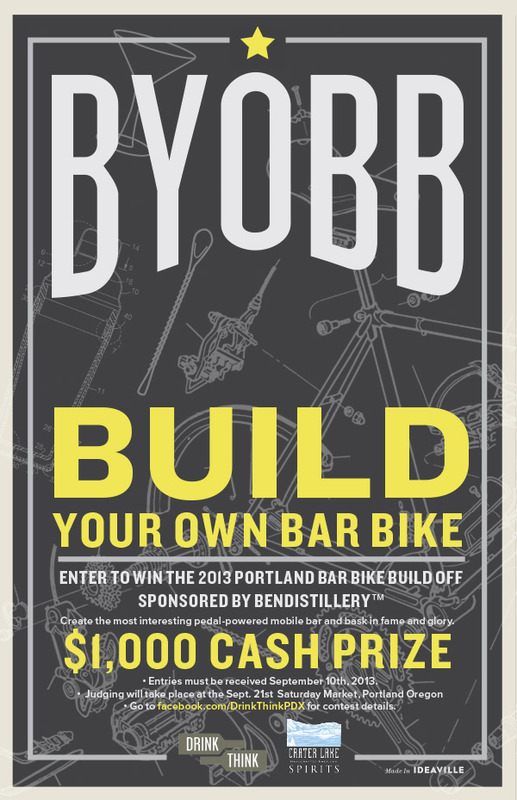 Submit your entry HERE or for more information, contact BYOBB@drink-think.net for visit our Event on Facebook! Judging will take place at the September 21st Portland Saturday Market in Portland, Oregon. • Bikes must be present to be eligible. Please remember drinking and biking are illegal, be responsible and have a designated peddler! • Bike must be a working bicycle, safely ride-able by the judges. • Integral to the design of the bike must be the ability to carry bottles, glassware and other common elements of a bar. • Bikes may have 2 or 3 wheels. All wheels must be integral to the construction of the bike – no trailers or sidecars allowed. • Tandem bikes are acceptable. • Entries must be received Sept 10, 2013. • Judging will take place at the September 21st Portland Saturday Market in Portland, Oregon. • Bikes must be present to be eligible. • Determination of safety and ride-ability is entirely at the discretion of the judges and not appealable. • Decision of the judges is final. Note: the bike must conform to Oregon concerning bicycles (have a seat (yes that is a law in Oregon), a rear red reflector, and if riding under limited lighting conditions a clear/white forward facing light.